Home » national news » Situation in Kashmir under control, Army working independently: Govt. Situation in Kashmir under control, Army working independently: Govt. 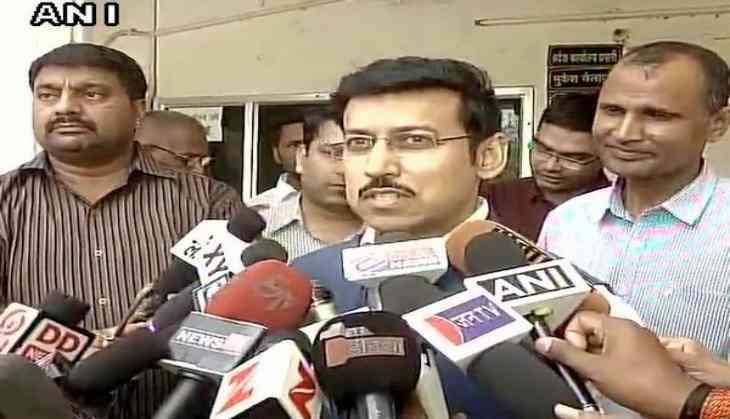 Minister of State for Information and Broadcasting Rajyavardhan Singh Rathore on 6 June said the situation in Kashmir is under control and that the Army is working independently to tackle any situation. "The people are seeing, what the media is reporting. The situation in Kashmir is under control and the Army is totally independent and functioning accordingly," he said. Meanwhile, Central Reserve Police Force (CRPF) Director General Rajiv Rai Bhatnagar visited Kashmir today. He interacted with 45 Battalion CRPF Sumbal, Cheetahs of 45 and 44th Battalion. At least four militants were killed in retaliatory firing by 45 Battalion CRPF and the Jammu and Kashmir Police (JKP) at Sumbal in Bandipora district yesterday. The militants were reportedly attempting a suicide attack on the CRPF camp.